Games are made for fun, what can possibly be “serious” about them? However, the term that we placed in the title has been around for quite some time already meaning games that are intended for purposes other than pure entertainment. True, most games are designed to bring relaxation, focus shift, the sense of competition – and that’s great, we all need that in this hectic age. Yet, serious games are intended for a somewhat different purpose – to learn something or master a certain skill in the game format. Often, serious games are built as simulators designed to practice a skill – flying an aircraft, administering first aid, driving a car, planning a city – all in the game environment. In fact, serious games are not recent – Microsoft Flight Simulator was released as far back as in 1982. Of course, in 2019 its gameplay and design look a bit childish and naive, but the concept is the same. Today, however, we wrap this concept in such powerful technologies as augmented reality and virtual reality to create truly immersive serious games. In this post, we are going to see how serious games help businesses to improve their personnel training and how to build an effective and engaging serious game using AR and VR. Serious games and gamification – are they the same thing? These terms are often confused, as they both mean using game techniques to achieve a non-entertainment purpose. At the same time, there is a difference. Gamification means using certain elements of a game in an otherwise ordinary process. For example, introducing points, stars or badges as incentives in a learning process is gamification. The learning process is not structured as a game, but you can get a trophy or a crown by reaching a certain level. 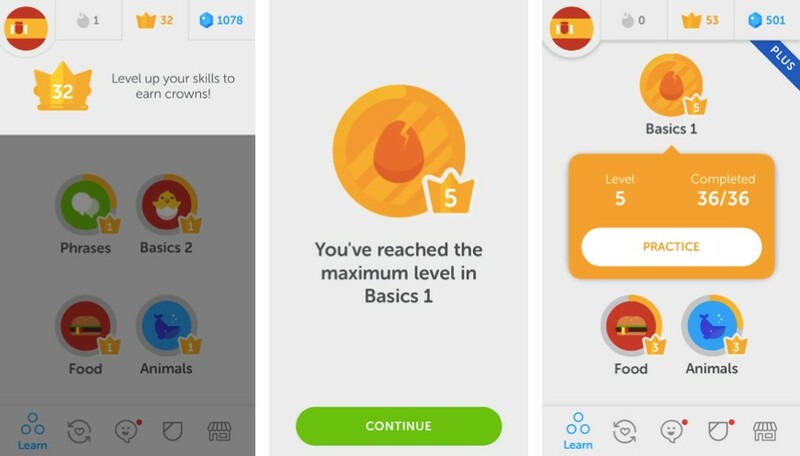 A good example of the gamification technique is Duolingo, a language learning app. The learning process is not different from what you get at a language school or with a teacher – you memorize words, translate sentences, choose correct word forms. However, the app encourages you to earn crowns, compete with other users, win crystals to use towards in-game purchases. That’s gamification. Now, in a serious game, the learning process itself is a game. The skills and knowledge are mastered by completing the game tasks. The game objectives may be different – from getting a physical skill, such as driving a car or operating a piece of machinery, to specific knowledge, for example, first aid techniques or management. If we wanted an example of a serious game, we could mention Pacific, a game helping to build team leadership and management skills. The players find themselves on a lonely island after a plane crash, and you need to become a true leader to escape. Why are serious games a great tool for learning? Each of us, no matter how old we are, still has that inner child within that loves playing games. We are used to games as entertainment and a means of having some good, playful time when we are not working. Serious games create that easy atmosphere while still teaching us something on an almost subconscious level. When the game is also enhanced with augmented reality or virtual reality bringing the sensation to a completely new level, even grown-ups can easily lose themselves in the gameplay. Let’s look closer at the advantages that a professionally made AR/VR game app can bring to a business. Games traditionally result in better engagement than work-related activities. Of course, to make the game truly engaging, it takes an interesting story, exciting gameplay, a variety of different tasks, a great number of levels or other achievements to keep the players wanting to return to the game. Why are games so engaging? 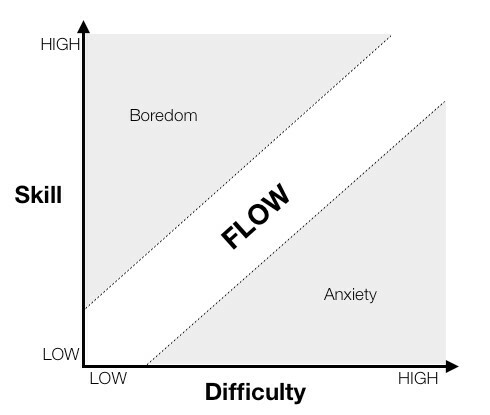 Most games, serious ones especially, are based on progressing from low difficulty to high while improving the skills. Sounds very much like the traditional learning process, however, when learning is wrapped in an exciting hi-tech game scenario with the story urging the player to work on to get on the next level or achieve a new trophy, skills can be mastered better. The trick is to find that balance between skills and game difficulty so that not to bore the player or discourage them with unachievable tasks. If you have ever played any game, you, most probably, had to repeat some particularly hard levels over and over again to pass on. Such repetitions, on the one hand, drive the excitement and the intent to complete that level after all, and, other the other hand, hone the skills that are required. Now, the same thing happens in serious games, too. For example, in a VR car parking game, you will have to repeat your maneuvers again and again until you manage to park without nicking a bumper or denting a fender. Practicing in virtual reality will give you the feel of the car movements and dimensions and help when a similar situation occurs in real life. This benefit is also related to players making multiple attempts in the game struggling to achieve a better result or top their competitors. Practice makes perfect, and when practice is encouraged by a gaming environment and competition, repeating the same process is no longer boring. Such “hands-on learning” that we have in serious games is a form of experiential learning where students are active participants of the process rather than passive listeners. Experiential learning has been shown to have a strong and lasting educational effect on students, as it creates a link between a real problem and its practical solution. Here, it takes a true talent to design the gameplay so that the difficulty increases not too fast and not too slowly at the same time. This way, the player will be eager to try again to perfect the skills. Adding hi-end technologies, such as augmented reality and virtual reality, will increase the engagement keeping the user in the game. The benefits of serious games as a powerful personnel training tool are quite obvious. However, with the implementation of advanced technologies, such as augmented reality and virtual reality, their effectiveness rises dramatically. Creating unique user experiences, AR and VR assist in training professional skills at all levels. No need for the special gaming environment. You can play an AR game anywhere. AR objects appear when the camera scans special markers that can be ordinary printable QR codes. For this reason, augmented reality games are easy to set up in a class, a workroom, even at home. Training safety. Since the gameplay involves virtual objects while creating realistic experiences, the game is safe to play. At the same time, the skills trained during the game are strong and long-lasting. Possibility to add supportive material. You can design an AR game so that it shows various graphics or textual prompts to the player, displays related information that can help to build not only practical but theoretical knowledge, too. For example, in a simulator where the player needs to operate certain equipment, the AR display can show its important technical data. High engagement. Professional AR development results in truly engaging games that hold the players’ attention due to the unusual experiences that they create. Engagement leads to longer practice and, therefore, to better skills. Cost saving. Augmented reality allows replacing physical objects with virtual ones. While an augmented reality app development cost may seem rather high, especially when we are talking about the professional development of a full-featured AR application, it is still more economical than providing physical training equipment. Besides, AR game scenarios can be repeated as many times as needed and adapted to each player’s skill level and learning pace. The use cases for AR serious games are multiple – from school education and professional training to rehabilitation. For example, one of the AR projects is aimed at building a game that helps to recover stroke patients’ exercise and regain their movement functions. The patient needs to feed a virtual bird by sitting down and standing up again. When the patient’s attention is focused on the game, it is easier for them to repeat the exercise that no longer seems boring or exhausting. Virtual reality and games are like peanut butter and jelly – even if you are not a gaming person, you must have heard of a VR game. A game placing the player right within its environment attracts both the young and the old. Of course, using VR as a serious game allows achieving much higher skill levels than with traditional learning. Immersive experience is allowing the player to learn not only through memorization and repetition but also through vision, hearing, muscle memory and spatial orientation. Reusable scenarios that can be replayed multiple times for perfecting the skill and adapted for each trainee’s abilities and learning speed. Multiplayer options are allowing to add the factor of competition or to provide support and monitoring to the player. Training safety achieved by setting the sessions in a physically safe environment with potentially hazardous objects reconstructed in virtual reality only. Lower cost as compared to live training and games using real training sites and equipment. While the upfront virtual reality development cost may be relatively high, it will still result in considerable cost savings at the end of the day. Although serious games can be entertaining, their main purpose is to train or educate users. As we can see, serious games are being widely used in emergency services, military, and even healthcare training. It works and the opportunities are huge. If you are interested in serious games, please contact us for a detailed project discussion. Our expert AR and VR developers will be happy to work on your project to create a unique educational game that is exciting and serious at the same time.